Fashion is taking to the streets in a whole different way. Like the gourmet food trucks that brought high-end eats to the masses, a growing number of American retailers are skipping brick-and-mortar storefronts in favor of mobile shopping experiences. Joey Wolffer is part of this new breed of door-to-door salespeople. The New York fashion designer recently transformed a 20-foot, potato-chip delivery truck into a roving boutique that peddles one-of-a-kind jewelry, leather goods, and vintage scarves. Wolffer takes the Styleliner all over the Eastern Seaboard, traveling to cities as far as Montreal to meet her customers. With the low overhead, freedom to roam, and use of social media as the primary form of marketing, it’s no surprise that “boutiques on wheels” are a burgeoning trend. Shoppers are similarly enchanted. 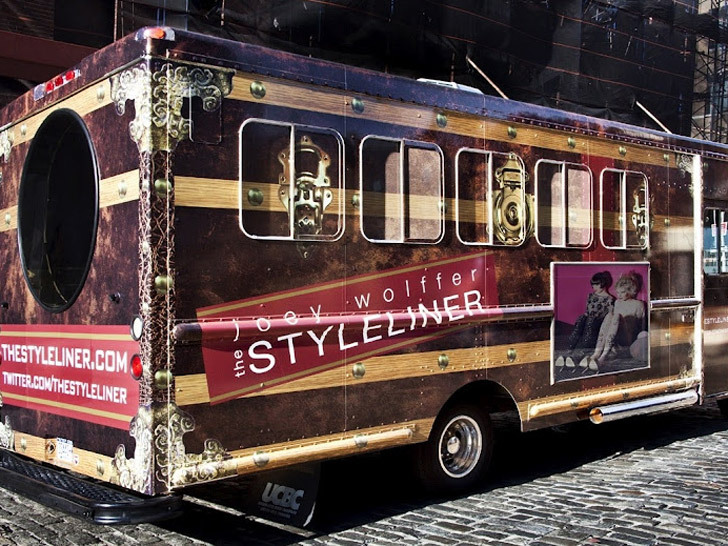 Although the Styleliner can only accommodate up to five people at a time, Wolffer says customers are drawn to the novelty of the experience and the personal attention they receive. With the low overhead and freedom to roam, it’s no surprise that “boutiques on wheels” are on the rise. But the Wolffer’s isn’t the only fashion camper making its presence known in parking lots and driveways across the country. Other itinerant stores include the Fashion Truck and Haberdash Vintage in Boston, Bootleg in Austin, Vintage Mobile in Dallas, Aetherstream in San Francisco, Le Fashion Truck and JD Luxe in Los Angeles, Lodekka and Wanderlust in Portland, and the Fashion Mobile in Minnesota. In response, companies such as ExTreme ReTrailers have emerged to help trailers to look like miniature versions of high-street stores, complete with wireless credit-card machines, changing rooms, and air conditioning. Whether fashion trucks will take off the same way Korean tacos and organic ice cream have remains to be seen. (We haven’t heard much in the way of eco-friendly retrofits like biodiesel or solar power, either.) Still, if history’s any indication, this won’t be the last we’ll hear of these haute wheels—not by a long shot. With the low overhead, freedom to roam, and use of social media as the primary form of marketing, it's no surprise that "boutiques on wheels" are a burgeoning trend. Shoppers are similarly enchanted. Although the Styleliner can only accommodate up to five people at a time, Wolffer says customers are drawn to the novelty of the experience and the personal attention they receive. But the Wolffer's isn't the only fashion camper making its presence known in parking lots and driveways across the country. Other itinerant stores include the Fashion Truck and Haberdash Vintage in Boston, Bootleg in Austin, Vintage Mobile in Dallas, Aetherstream in San Francisco, Le Fashion Truck and JD Luxe in Los Angeles, Lodekka and Wanderlust in Portland, and the Fashion Mobile in Minnesota. In response, companies such as ExTreme ReTrailers have emerged to help trailers to look like miniature versions of high-street stores, complete with wireless credit-card machines, changing rooms, and air conditioning. Whether fashion trucks will take off the same way Korean tacos and organic ice cream have remains to be seen. (We haven't heard much in the way of eco-friendly retrofits like biodiesel or solar power, either.) Still, if history's any indication, this won't be the last we'll hear of these haute wheels—not by a long shot.